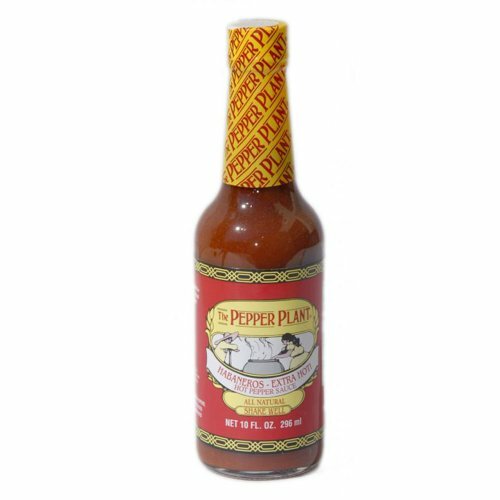 The Pepper Plant Original California Style Hot Pepper Sauce. Made in Gilroy California, All Natural. 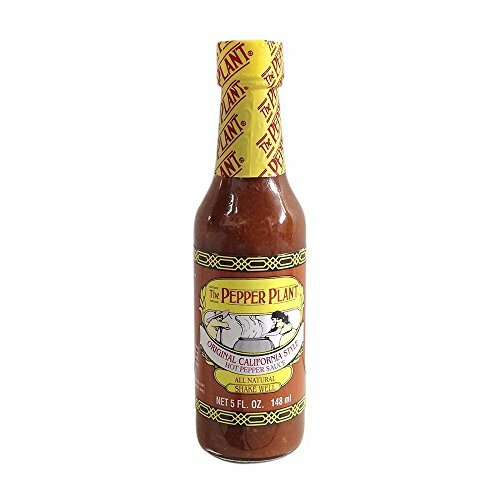 Use for seasoning and cooking; excellent with tacos, roasts, steaks, stews, hamburgers, beans, meatloaf, soup, egg dishes, and much more. The original California hot sauce! Blend of jalapeno and red peppers. This sauce is a mainstay in most restaurants in Monterey and Carmel. 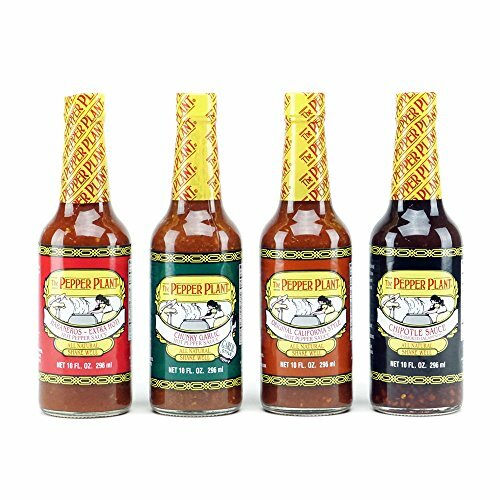 Adds some zing to taco's, eggs, fish, steaks, bloody marys, or whatever you wish to top. 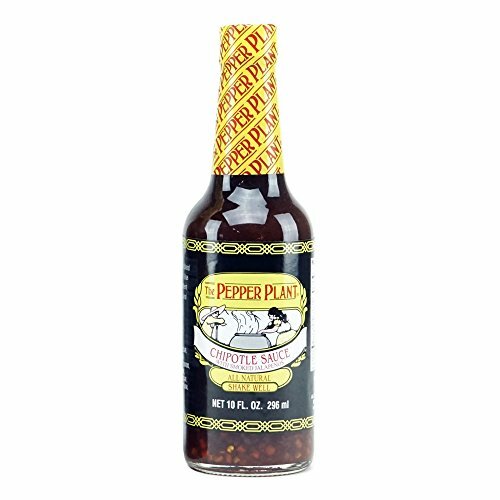 The Pepper Plant Seasoning 11 oz. 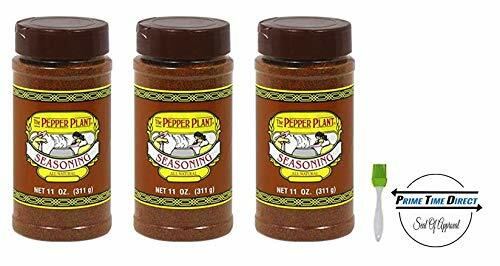 The Pepper Plant Seasoning, 11 ounces. 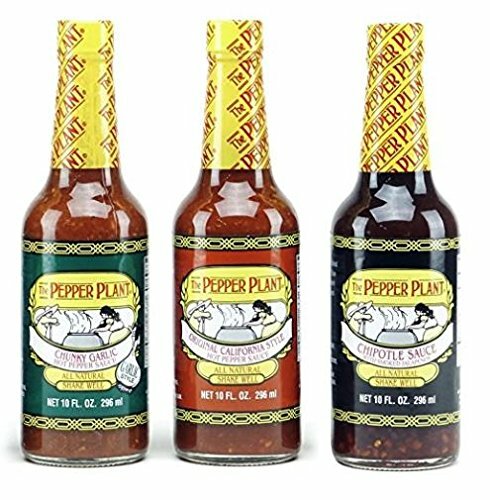 Mild seasoning created from The Pepper Plants Original California Style Hot Pepper Sauce. Add to soup sauces or stews, or as a rub when grilling meats. Great sprinkled on popcorn too!! 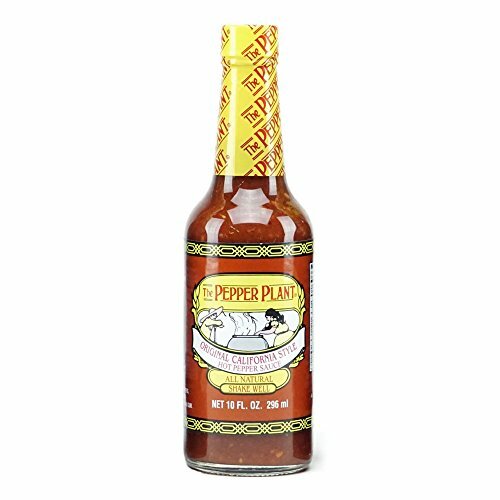 The Pepper Plant Habanero Extra Hot California Style Hot Pepper Sauce 10 Oz. Some like it really HOT! The Pepper Plant Original California Style Hot Pepper Sauce with Habanero peppers added for those who like to add a little "fire" to their recipes. 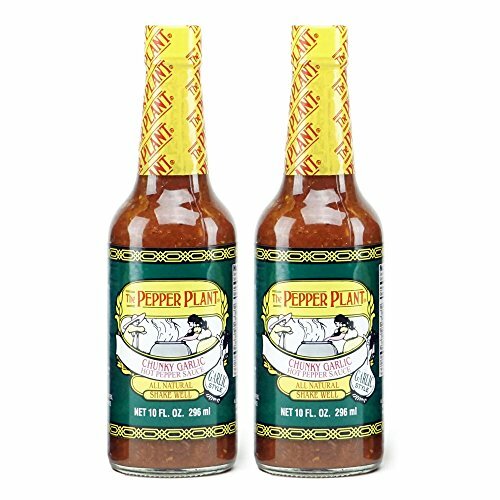 The Pepper Plant has created this chipotle sauce from a blend of jalapenos which are spiced and snmoked. Use as a marinade for meats and poultry. Not too hot just medium. 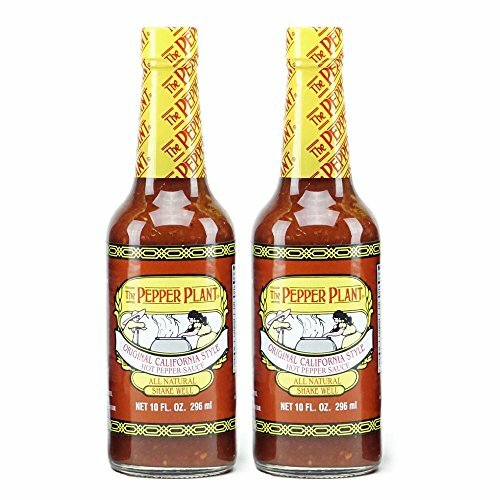 The Pepper Plant Orgianl California Style Hot Pepper Sauce is a mainstay in most Monterey and Carmel Restaurants. Give the grill master in your life our BBQ Lovers Gift Pack. 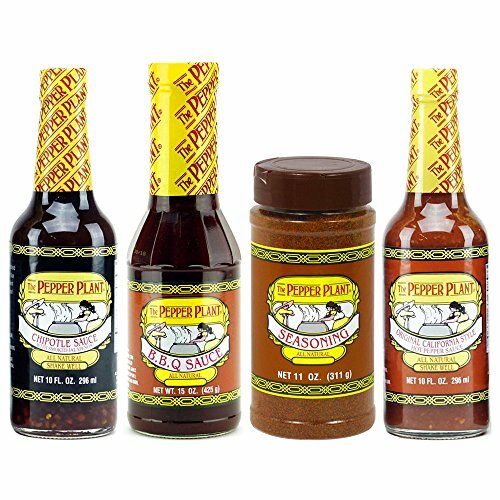 Our gift box comes with Pepper Plant BBQ Sauce, Chipotle Sauce, Dry Rub Seasoning, and Original Hot Pepper Sauce. Peppers blended with just the right amount of spice to create a "hot sauce with flavor". 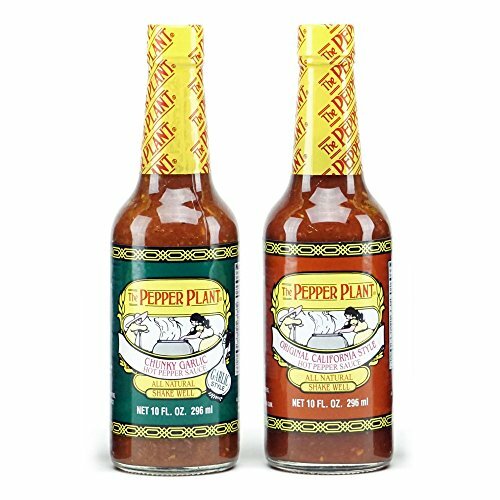 The perfect addition to your soups and sauces as well as a wonderful seasoning for potatoes, eggs, salsas, pizza or any food requiring some "zing"! 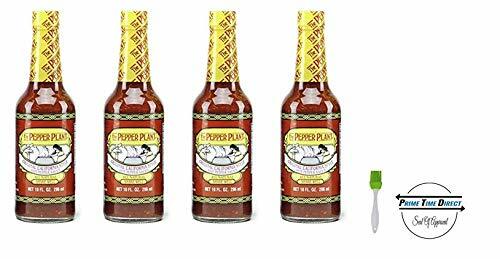 Pepper Plant Original California Style Hot Sauce 10 Fl. Oz. Introducing the Prime Time Direct Sealed Bag by Prime Time Direct. Whether you choose to ship directly to a recipient or to yourself, your item is guaranteed to arrive exactly as described and photographed. Introducing the Prime Time Direct Sealed Bag by Prime Time Direct. Whether you choose to ship directly to a recipient or to yourself, your item is guaranteed to arrive exactly as described and photographed. Silicone Basting Brush for mess free applications every time.